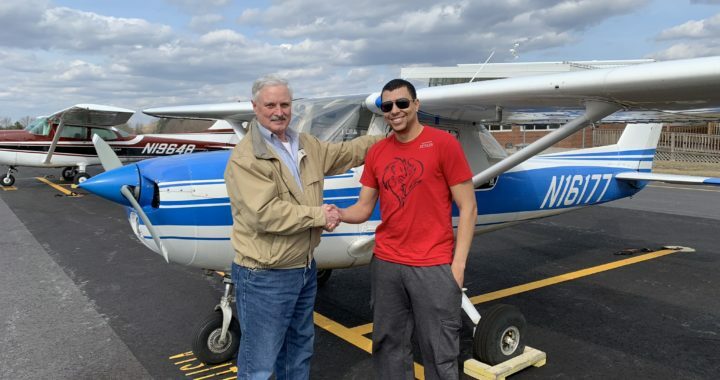 Examiner Daryl Smith congratulates Leo after a well executed check ride in our Cessna 150. Leo’s enthusiasm, attitude, and thoughtful demeanor made a good impression, along with his excellent stick and rudder skills! Now he’s able to give rides to his family and friends and explore all around New England and beyond. Well done Leo!